Enjoy viewing movies, videos or presentations on the frameless display of the ViewSonic VA2465SMH 24″ LED Monitor. The monitor features Full HD 1920×1080 resolution for amazing clarity and details for multimedia viewing. This wonderful monitor comes with a Contrast Ratio of 3000:1 that ensures that you get to view every detail along with the darkest and brightest colors. VGA port on this monitor provide a convenient and flexible connectivity. It carries integrated speakers delivering crystal clear sound to enhance your viewing experience. Moreover, it comes with a mercury free LED backlighting and ViewSonic’s Eco mode features that ensures your save energy and yet get to see outstanding display display performance. 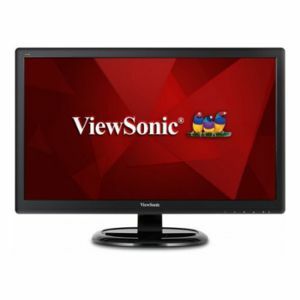 Buy the ViewSonic VA2465SMH 24″ LED Monitor today!